The inaugural AFI Cinematography Introductory Intensive for Women (CIIW) will take place on the AFI campus in Los Angeles, August 3-6, 2018. The tuition-free program will introduce the fundamentals of visual storytelling to women who are interested in a career in cinematography. The four-day workshop will feature production workshops, discussions, screenings of the work of pioneering female cinematographers and more. The workshop will encourage participants to continue their studies and become a working professional in the field, with the goal of increasing the number of women working in cinematography. Read more about the program here, and about the inaugural participants below. Zaineb Abdul-Nabi is a film and digital artist from the Bronx. She “borrowed” her sister’s dusty old film camera before leaving for college and never gave it back. This tiny act of larceny turned out to be the catalyst to her artistic endeavors. Her short video earned her a spot as one of six students to win the Team Oscar® competition and attend the 86th Academy Awards®. She graduated from the University of Michigan with a bachelor’s degree in film and video studies in 2014. She loves to document the chaotic beauty that unfolds behind the scenes of our everyday lives. 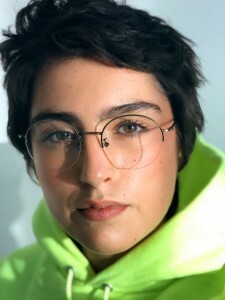 Katherine Castro is a New York City-based director of photography. Born in Boston, she studied architecture and photography while living in the Dominican Republic. 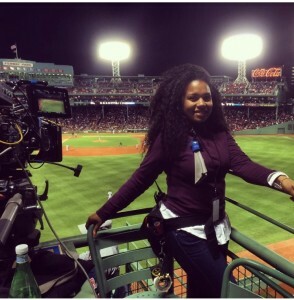 Katherine returned to Boston in 2008, where she began working in film and TV as a Local 600 camera assistant. Appling her design and photography background along with the invaluable lessons she has acquired over the years working in production, she brings a unique style and viewpoint to her cinematography. 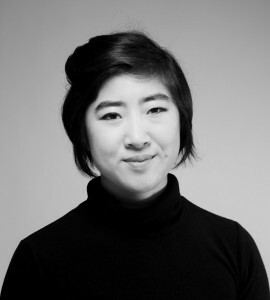 Her work spans narrative, music video and documentary, and has recently been screened in film festivals such as Indy Film Fest, Woods Hole Film Festival and Asian American International Film Festival in NYC. My name is Daion (Day-on). I’m from California, but was raised in a small, one-horse town called Buckeye, Arizona. I am a recent graduate from LMU, with a degree in film production. I’m a die-hard Harry Potter fan, and sometimes believe that I’m a wizard during my downtime. I have a huge obsession with the photographer Philip-Lorca diCorcia and his ability to tell stories through a narrative form of still images, along with Benoît Debie, as he is able tell visual stories through his striking compositions, movement and lighting. Rayana is a camera operator, camera assistant, videographer and stills photographer based in Los Angeles. She is a first-generation Thai American, born and raised in Maryland and now residing in Los Angeles. Her most recent work includes camera operating and first-AC-ing on two independent feature films. Michelle Clementine is a Brooklyn College alum with a BA in Film Production. The Bronx native joined the International Alliance of Theatrical Stage Employees camera union in 2011. 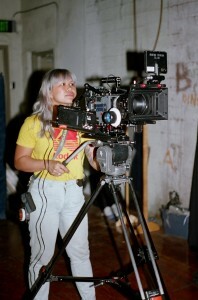 As a founding member of the newly formed Mentorship Committee for the International Cinematographers Guild, Michelle, known as Clementine among her colleagues, has helped usher in a new wave of diverse camera assistants. She was previously nominated to the National Executive Board of ICG, having the endorsement of her union brothers and sisters. Clementine has worked on Oscar®-winning feature film SPOTLIGHT, with Spike Lee on the Netflix Original SHE’S GOTTA HAVE IT and Barry Jenkins’ upcoming IF BEALE STREET COULD TALK. She was the cinematographer for the hybrid feature documentary BEBA, and has filmed various music videos. Clementine currently sits as a board member of New Visions Charter School for the Humanities, a technical school in the Bronx training students to be proficient filmmakers upon graduating. 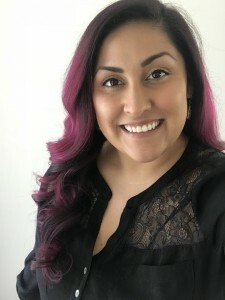 Olivia Margarita Gastaldo is currently a Senior Content Producer at 1UP Studios. She launched her professional career as an Assistant Camera Operator at Riot Games, working her way up to Camera Operator within the same year. 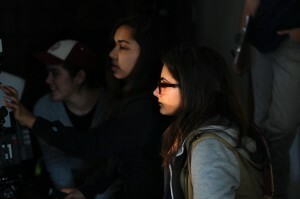 She then accepted an opportunity to work at 1UP Studios as a Cinematographer and Producer. Since 2017, Olivia has been producing and shooting a diverse slate of short-form documentaries, commercials and episodic shows for clients such as Team Liquid, Monster Energy, Ballistix, HyperX, Dell, Alienware, SAP and TwitchTV. While working full-time at Riot Games and 1UP Studios, Olivia has been actively enrolled in school and is looking forward to acquiring her BFA in Film with a minor in Cinematography by the spring of 2019. 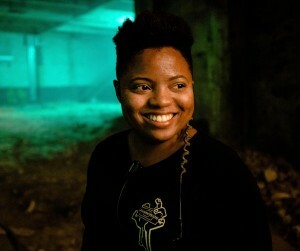 Between work and school, she dedicates time to fine-tuning her skills as a DP on a variety of sets, collaborating directly with directors, writers and performance artists to craft unique storytelling experiences. In addition to working at Riot Games and 1UP Studios, and pursuing a degree as a full-time student, Olivia built her own company as a freelance DP, working with clients like the San Francisco International Film Festival and The Leadership Edge. 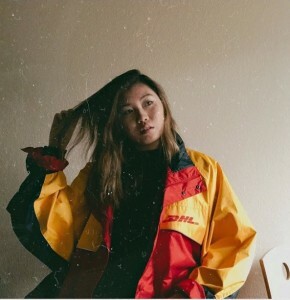 Born and raised in the eclectic culture of Los Angeles, Asia Heredia comes from an artistic Latino family, where she began at an early age to find her path in cinematography. Her exceptional eye for details, her work ethic, resourcefulness and determination to succeed have allowed Asia to advance in the film industry. Her career has been developed by her innate ability to network and maintain excellent professional relationships. She received her BFA from Columbia College of Hollywood in Cinematography, and is a member of the International Cinematographers Guild. I was a Cinematographer on THE ADDRESS for Florentine Films under Ken Burns and the Assistant Editor under Craig Mellish (ACE). I have been making two films. For VELVET CITIZEN, I moved to a tiny Czech village by myself and filmed for around three years. THRU is a story about women thru-hikers on the Appalachian Trail. I started in darkroom photography. I was a teaching assistant at Maine Media Workshops and College. I studied abroad at FAMU (the Academy of Film and Performing Arts) in Prague of the Czech Republic, with a focus in Cinematography under the Production Track. I grew up in West Los Angeles, California, and am a recent graduate from the University of California, Santa Cruz, where I received a Bachelor’s degree, double-majoring in film and philosophy. During my time at UCSC, I worked on my peers’ films as a cinematographer while also making my own work, gaining experience with many tasks of filmmaking including writing, directing and editing. My personal background lies primarily in fine arts, as before attending college, I dedicated most of my time to drawing and painting, which has greatly influenced my perspective. Laura Kenmotsu is a photographer and first AC based in the San Francisco Bay Area. A graduate of San Francisco State University’s Cinema program, she is interested in combining her passion for still photography and art history with her skills in camera and lighting to create cerebral films with substance. She likes street photography, personal portraiture, “non-still” still-life shots and long takes on sticks. She is ecstatic to be part of this cohort, and cannot wait to meet everyone else. I grew up in the Silicon Valley documenting tales with a Sony camcorder. I’m now a UCLA graduate in Los Angeles with a fancier camera but the same passion for telling stories. Currently, I’m learning every day at Disney and am a member of the 2018 Academy Gold program, which is an Academy-run inclusion initiative for new filmmakers. Previously, I was a recipient of the Television Academy 2017 intern program for cinematography. I hope to use what I learn to make meaningful things as a living with a strong focus on composition, color and light. 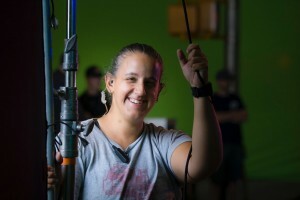 Maryn McGaw began her path to becoming a cinematographer by first studying mechanical engineering. 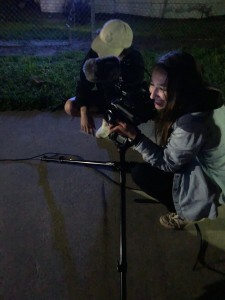 It took looking beyond problem-solving, and a semester with extra credits, to discover her passion in filmmaking and the need to connect with audiences. After realizing that storytelling had no limits, simple design held no more fascination. She loves collaborating, inquiring, evoking and subverting. Hello, my name is Georgia Pantazopoulos. I was born and raised in Lowell, Massachusetts. One summer home from film school, I worked on an independent film that launched me into the IATSE Grip and Electric Union in New England. I went back to my small film school, Burlington College in Vermont, to finish and get my bachelor’s in Cinema Studios and Film Production. However, every summer I came back home and worked tirelessly on feature films, to learn and work with the professionals I admired so much. It has been over 11 years now, and I have worked on countless feature films, mainly as a grip. During that same time I have been trying shoot as many projects as possible — including one that I am very proud of, the documentary titled A BAND CALLED DEATH. I worked alongside fellow Burlington College graduate and director Mark Covino. We later went on to do another documentary together called THE CREST. Later, I was given the opportunity to DP a feature titled “AXCELLERATOR, with Edgewood Studios. Working as a DP on this film put my true experience of the craft to the test. We had a lot of green-screen work and previous footage to match cuts to. It was truly something I didn’t believe I would be able to do until we wrapped. I found myself “on” the entire time. It was a very difficult and daunting task, with very little to no money and minimum crew. I still work on feature films in the New England area and, most recently, I have been getting more work as a Super Techno Crane Technician. It is my bread and butter working on feature work as a Grip and Crane Tech. However, I want to push myself and learn as much as possible about becoming a great DP. It’s something I aspire to be doing every day. Alexandra Petrus is a photographer, filmmaker and scholar. Having grown up in Oakland, California, to a multicultural family, she has an insatiable hunger to learn about other languages, cultures, and stories. She earned two bachelor’s degrees from California State University Long Beach, in Film Production and German, and directed the award-winning short film MOURNING DOVE. She is currently working part-time as a Motion Graphics Artist, while earning a master’s degree in Game Research and Development at the Cologne Game Lab in Germany. Sienna Pinderhughes is an image-maker from New York City, currently living in New Orleans. She works as a Camera Assistant in the film and television industries, and is currently in pre- and post-production on several still-photo and moving-image projects of her own. Fatoumata Sylla was born in Conakry, Guinea, to a physician mother of Fulah descent and a radio professional father of Soussou ancestry. She is quadrilingual, fluent in French, English, Pulaar and Soussou. 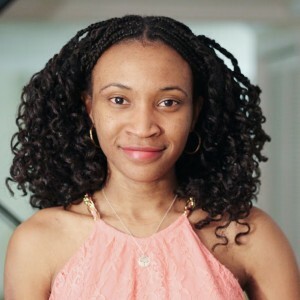 After graduating high school in Boston, Massachusetts, she attended Emerson College on a full-ride scholarship and graduated with a BA in Media Studies in 2016. She is in the final stages of completing an experimental short film on privilege envy, and has recently directed a short fashion film on retaining cultural pride and identity after immigrating to the West. Melina Valdez is a director and a director of photography interested in unfamiliar realities. 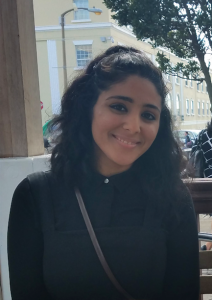 With a passion for stories from a female perspective, Melina aims to work on any form of media that challenges expectations and explores the most compelling aspects of humanity. When she’s not working, she enjoys doodling and convincing people to start a band with her. 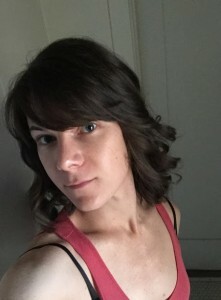 Allison A. Waite is a Los Angeles-based filmmaker and photographer. She obtained a BA from Hampshire College, where she maintained an interdisciplinary major of Film/Video production and Africana Studies. 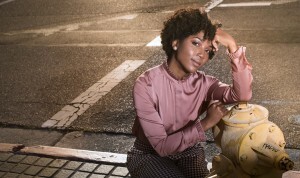 Allison has received the Princess Grace HBO Film Award for her work on the film ROOTS IN CONCRETE, highlighting the wrongful deaths of Black youth. 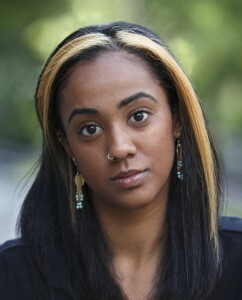 She is currently pursuing an MFA in Film & Television Production at USC, with a concentration in cinematography. Film is her activism tool of choice, as she aims give unresolved stories a voice and spark connections within her community. Jenise Whitehead earned a BA in Spanish from San Francisco State University after studying abroad in la Universidad Complutense de Madrid. Upon graduation, she co-directed GIDEON’S CROSS in Outfest Los Angeles’ OutSet program. The film screened at Outfest Fusion, Outfest LA, Outfest Santo Domingo and Outfest LA Online by DirecTV in 2014. She then trained in Panavision Hollywood’s two-year program and joined IATSE Local 600 in the fall of 2016. 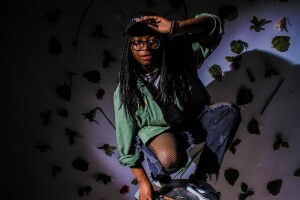 As a cinematographer, Jenise wants to tell stories that reflect being Black, female and gay in South LA, to humanize an experience that has yet to be fully explored in cinema. It’s very important that young nation keeps on developing modern cinematography, especially women. I’d like to cite as an example Lynn Ramsey, in 1999, she, a native of Scotland, conquered the Cannes jury with the tough minimalist drama “Pied Piper”, in which all her branded receptions were presented for the first time: from stingy to narrative dialogues to the author’s fascination with vulnerability, restlessness and everyday violence. Lynn Ramsey is known for her principled nature and very reverent attitude toward directorial freedom: she left the filming of “Sweet Bones” and “Jane takes a gun” when she realized that producers were coming to her ideas. Her stubbornness was rewarded – Ramsey’s film “You Have Never Been Here” about a veteran in search of missing children received terrific reviews in Cannes, two awards (Joaquin Phoenix for the best actor and Lynn Ramsey for the script). Her determination was rewarded. “You Have Never Been Here” about a veteran in search of missing children also received terrific reviews in Cannes. Looks like that all of the women have made them able to know the best things and use the best strategies to move forward in the life.